This year’s MumFest Boat Show is an exclusive Eastern NC land boat show with trailerable boats, jet skis, marine trades, and more. Also available at this year’s Boat Show are RV’s from the Riverside Camping Center. 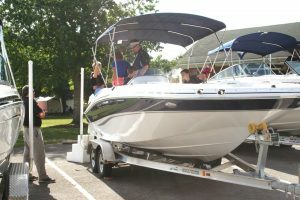 Some of the vendors include Park Boat Company, American Marine, Goose Creek Marine, Barbour Boats, and brands such as Key West, Grady White, and STINGRAY!!! The boat show will be located at CarolinaEast Union Point Park! Don’t miss this opportunity to be part of this great Mumfest tradition.